Say Yes to Irish – At MACE we are committed to supporting Irish producers, suppliers and Irish jobs. MACE has existed in Ireland since 1960. All of our stores are locally owned and create employment in your area by employing local people. 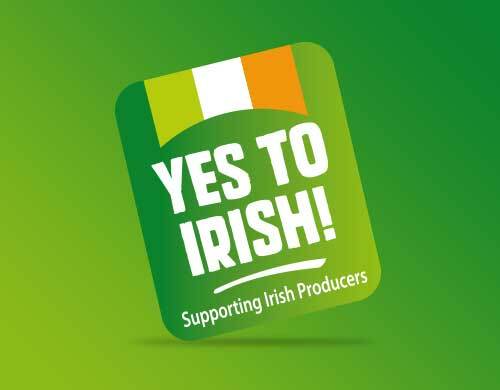 Look out for the Yes to Irish logo in our stores and on our printed materials. We use this logo to highlight which Irish products are stocked. Glenmór is our range of Irish farm fresh quality assured beef, pork, lamb, poultry and bacon available at MACE. It is our guarantee of quality produce sourced in Ireland. It gives you guaranteed high standards of quality meat, at value-for-money prices and above all great taste, and it is fully traceable to farmers and suppliers in Ireland. Look out for our Glenmór range of fresh meats in your local MACE store.